Tamarind is a fruit of a tropical evergreen tree. It is one of the most important and unavoidable spice in most south Indian dishes. In India tamarind is produced on a large scale and is the only producer of tamarind on a commercial scale. It is also exported to various foreign countries like America, Europe etc. where they are used mainly in preparing sauces. This spice is also available in the form of pulp and juice concentrates which are used for preparing cool drinks and other dishes. Tamarind is native to Africa. Its leaves are bright green in color. The tamarind fruit is covered by a hard brown shell. The fruit is a fleshy and juicy pulp inside the shell. It has a sweet and sour taste. The fruit pulp is used as a condiment in various dishes like rasam, chutney etc. Tamarind may be eaten as fresh also. 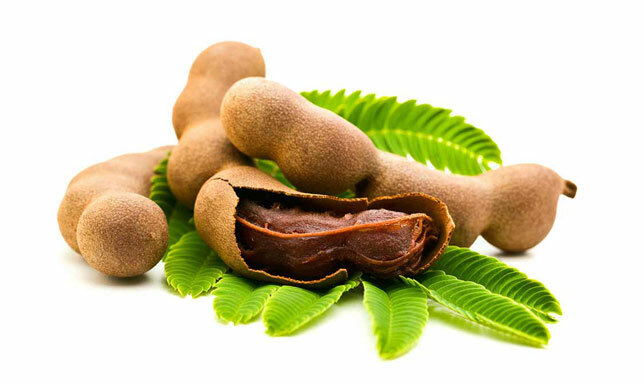 Tamarind has lots of medicinal uses and is a good laxative and antiseptic. The ripe fruit is used for appetizing and healing. It is used for treating stomach upsets and ulcers. The over-ripe fruits are used for cleaning copper and brass to remove the dull and green colored patina from it.